Kennedy Reid builds long-lasting personal relationships with all of our clients and candidates by investing quality time in understanding them as individuals and helping them grow their careers and businesses. By 2022, Kennedy Reid will be the chosen recruitment advisor to clients and candidates across select disciplines providing bespoke recruitment solutions, within the professional services market. 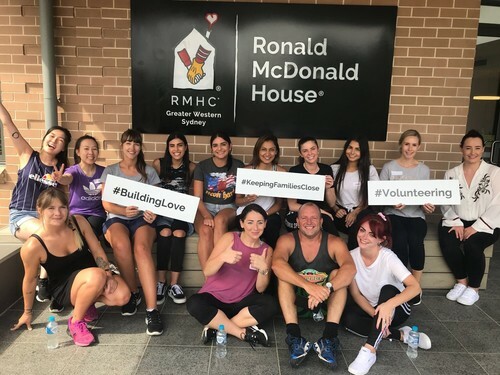 Kennedy Reid is proud to regularly support our chosen charities, Ronald McDonald House and Dreams2Live4. We also take part in client and candidate sponsored events to support the community partnerships our customers value most. Kennedy Reid takes pride in building long-lasting relationships with our clients and candidates. We follow a structured process, invest resources into the training and development of our staff, and listen to our customers through the distribution of personalised surveys. Kennedy Reid values the balance of living a healthy and energetic lifestyle. We actively promote a healthy lifestyle through daily exercise, with the provision of fresh fruit weekly, and celebrate our achievements in the office, big or small! Kennedy Reid are curious and continue to invest our best interest in our clients and candidates, which leads to new growth and opportunities. We spend one‐third of our lives at work, so it’s important we enjoy it! Kennedy Reid embraces opportunities to have fun with each other, whether it be through company functions, team incentives or simply enjoying a common sense of humour.